anchor, land or moor their boat or, in short, do not step foot on Canadian soil or rock. American boaters wanting to actually visit Canada for tourism, supplies, mooring or anchoring etc. must call Canadian Customs at (888) 226-7277 to provide them with all the required data. This is a newly passed Canadian law called Bill S-233 as of June 30, 2017. 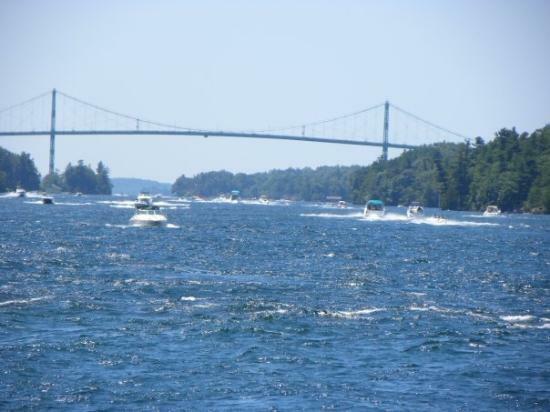 Canadian boaters must still report into US Customs and Border Protection if entering American waters. However, it does remove the requirement of Canadian boaters from having to report into the CBSA after boating in US waters, so long as they have not anchored, arrived on American soil or made contact with another vessel. A valid fishing license is always required when fishing in the US and Canadian waters. and start enjoying summer today. i have visited this site and i found much interesting info ,,i really like to read the info about technology.thanks for sharing.